Which popular and important plug-in hybrid model made its world debut in New York this week? 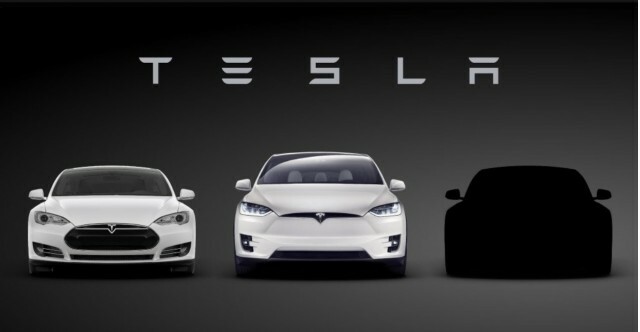 And, what European brand is returning to North America with an electric car? This is our look back at the Week In Reverse--right here at Green Car Reports--for the week ending on Friday, March 25, 2016. Friday is our day for slightly unusual or oddball stories, and our contributor Matthew Klippenstein provided one: a translation of a Japanese manga comic about the Toyota Mirai hydrogen fuel-cell vehicle. Filled with cautions about the car's usage—only four seats, fueling in Japan must be done by an attendant, and hydrogen stations are still being built—it nonetheless compares the Mirai favorably to not only the Nissan Leaf and BMW i3 electric cars, but even Toyota's own Prius Plug-In Hybrid. We also wrapped up a week of New York Auto Show news, with more details on the cars that were launched, updated, or shown as close-to-production models. 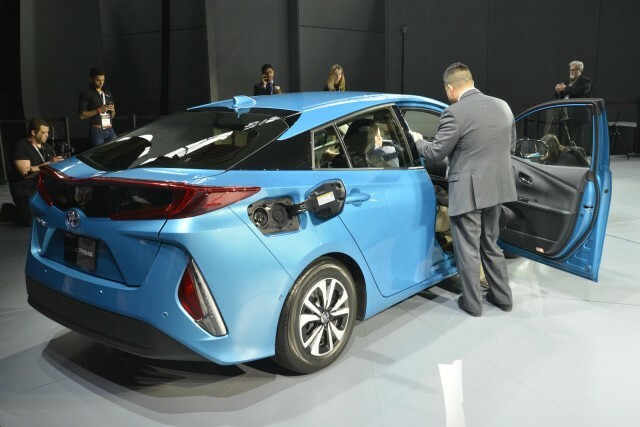 We learned that the 2017 Toyota Prius Prime plug-in hybrid, which made its global debut, has a 22-mile electric range and can operate up to 80 mph on electricity alone, according to the company. The 2017 MItsubishi Outlander PHEV was shown in almost-ready form for its U.S. debut—but its launch date was delayed once more, this time until November 2016. The plug-in hybrid Outlander SUV may also get revised lithium-ion cells for its battery pack and more software updates to match it better to U.S. driving conditions and maximize its electric range, the company said. The 2017 Hyundai Ioniq made its U.S. debut in New York, after a global reveal a few weeks ago at the Geneva Motor Show. 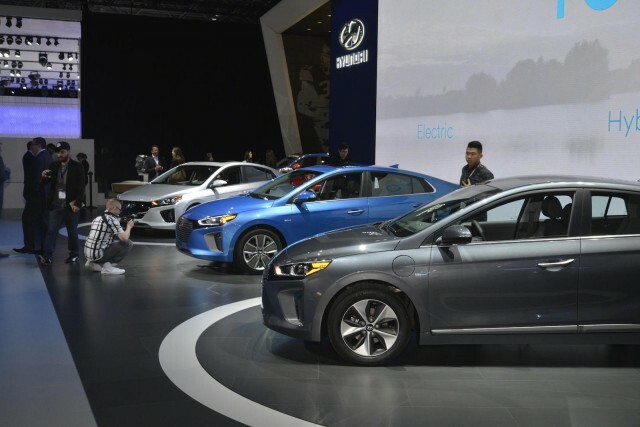 All three versions—Ioniq Hybrid, Electric, and Plug-In—were again on display. Finally, the 2017 Toyota Highlander Hybrid will be offered in four trim levels, with two new and less-expensive versions joining the top-end trims available to date. 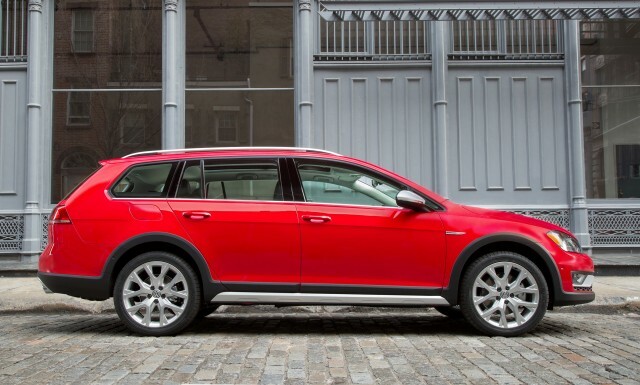 Oh, and one more: Volkswagen is pulling a Subaru, with the 2017 VW Golf Alltrack being the same kind of raised, body-cladded, all-wheel-drive wagon that the Subaru Outback proved could attract buyers more than 20 years ago. In other news, on Tuesday we published a GM video showing the pre-production models of the 2017 Chevrolet Bolt EV on the assembly line. The electric car will debut at the end of this year, more or less. Monday, we explained how to reserve a Tesla Model 3 online when reservations open this coming Thursday. Of course, we'll cover the unveiling of Tesla's 200-mile, $35,000 volume car when it happens Thursday night in Hawthorne, California. Over the weekend, we covered evidence that showed Tesla is ramping up for Model 3 production with increases in its assembly-plant capacity. All of these weekly roundups seem to contain news on the Volkswagen diesel scandal. This week, all three parties—VW, the EPA, and the California Air Resources Board—asked a judge to postpone his deadline for a settlement until April 21; he agreed. Finally, the French brand Renault hasn't been seen in North America in decades, but it's making a (very limited) comeback. The Twizy low-speed electric car ix coming to Canada; it will be sold in the province of Quebec. Those were our main stories this week; we'll see you again next week. Until then, this has been the Green Car Reports Week in Reverse update.